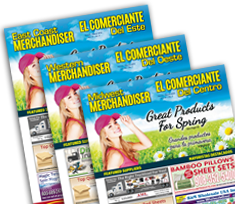 SUMNER COMMUNICATIONS has been providing publications and online services to the wholesale merchandise industry for over 28 years. 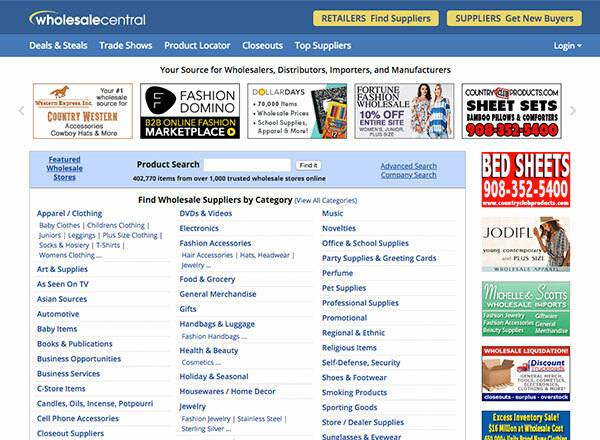 Our flagship website – WholesaleCentral.com – is the Internet's first and original online wholesale directory. Each month, hundreds of thousands of wholesale buyers trust WholesaleCentral.com to find products and suppliers. We also publish CloseoutCentral.com, the leading online marketplace for buyers and sellers of closeout, liquidation and overstock merchandise. At Sumner Communications, we have not forgotten our roots in the print business, and continue to print highly sought-after magazines and books each year. Our media properties connect buyers with wholesalers, importers, and manufacturers in virtually every product category. Wholesale Central is the leading B2B directory that helps buyers find wholesale suppliers and products. WholesaleCentral.com: The Internet's largest wholesale directory and marketplace of active wholesalers, importers, and manufacturers in more product categories than any other single location on the Web. CloseoutCentral.com: The leading online directory for sourcing closeouts, liquidations and overstock products. 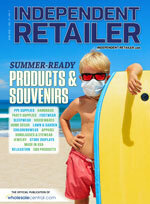 IndependentRetailer.com: The leading trade publication for independent retail and online store owners and managers. FleaMarketZone.com: Serves the national flea market and swap meet industry by offering news, advice, and networking opportunities to market managers, vendors, and other industry professionals.